I decided to do a full glitter mani. I'm not sure why. I just really wanted red and purple...It's a bit over the top for me but I ended up loving this combination! Spoiled Ants In My Pants is black jelly with red micro and hex glitter. It took 3 coats to get this look. It's kind of thick because there's so much glitter so application was a little tricky. The glitter wants to slide right off the brush back into the bottle so I shook the bottle every other nail and then kind of dabbed the polish on after the first coat. it worked ok this way and didn't get goopy or too thick. Revlon Scandalous is smaller purple hex glitter with micro glitter in black jelly. It's so much like AIMP but the hex are a little smaller. This polish went on smoother than AIMP and was full coverage in 2 coats. I didn't have to dab or do anything different from regular application either. I used a thick coat of Seche Vite to smooth out the bumpy finish and it was smooth as glass. And gorgeous. I don't cherish the thought of removing all this glitter, but it's totally going to be worth foil wrapped fingers for this gorgeous mani. 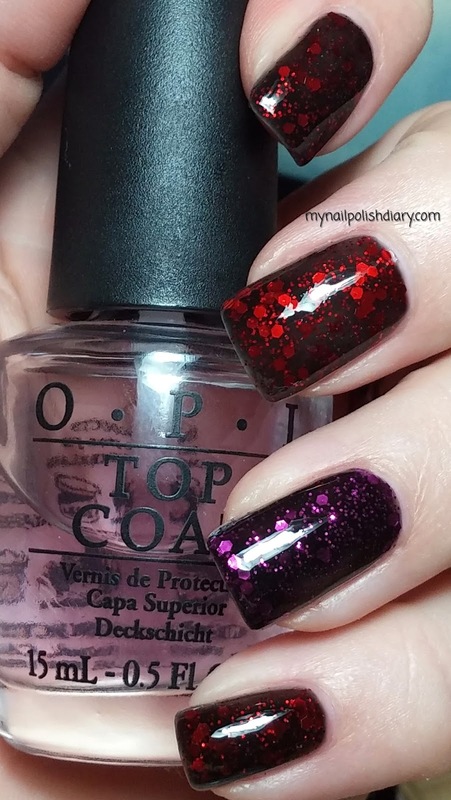 Spoiled Ants In My Pants is a dupe for Deborah Lippmann Ruby Red Slippers. 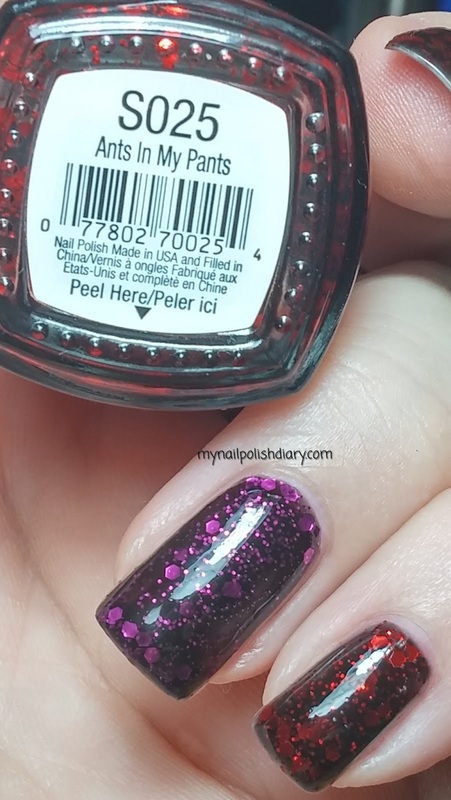 There's also a dupe in the Wet N Wild Fergie line Make The Boys Go Loco. Revlon Scandalous, previously released as Revlon Facets of Fuchsia, is a dupe for Deborah Lippmann Bad Romance.